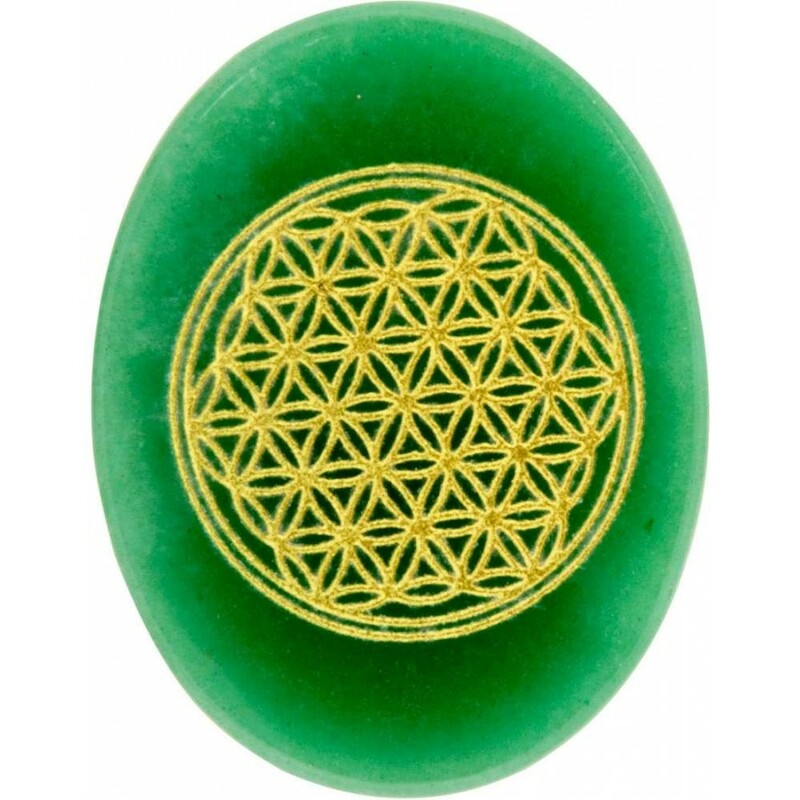 Smooth Green Aventurine stones have a gold Flower of Life design on one side - a wonderful stone to use as a gratitude rock to count the blessings in your life. Hand carved and polished to a smooth finish, these Green Aventurine pocket stones are beautiful and soothing to hold and gently stroke. 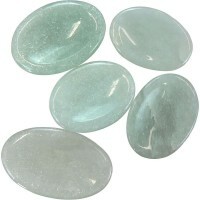 Green Aventurine has a very soothing energy, recommended for working thru unresolved emotional issues. 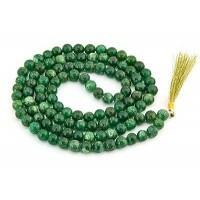 This lovely medium green gemstone protects the heart, comforts, harmonizes and can help attract love later in life. Green Aventurine is one of the best stones to attract luck, abundance and success. 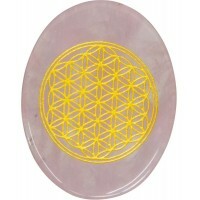 It is often used in ritual with green candles or kept in cash boxes and drawers to attract money. 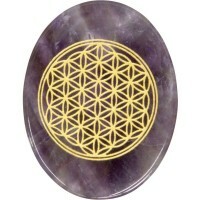 It opens the Heart Chakra and is tied to the water element. 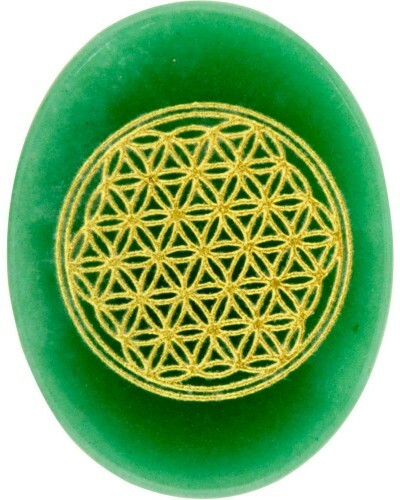 Green aventurine also is known as a stone of personal growth helping you to learn about yourself and your place in the universe with a very calming energy. 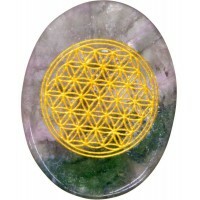 In healing, Green Aventurine benefits the lungs, liver, sinuses and heart. 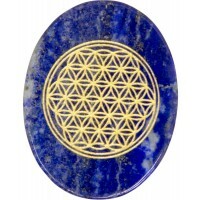 Item Number: KK-17653 | Approximate Size (Inches): 2.00 wide x 0.50 deep x 2.50 high | Approximate Shipping Weight: 0.25 lbs.